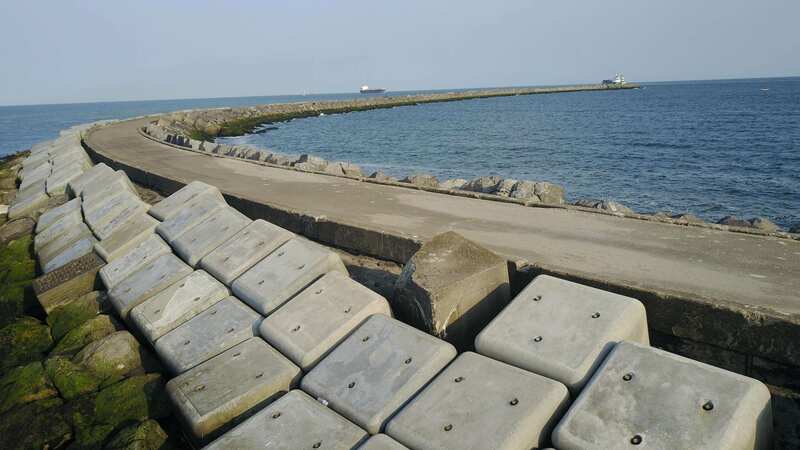 THE STATUS OF YOUR BREAKWATER OR REVETMENT? 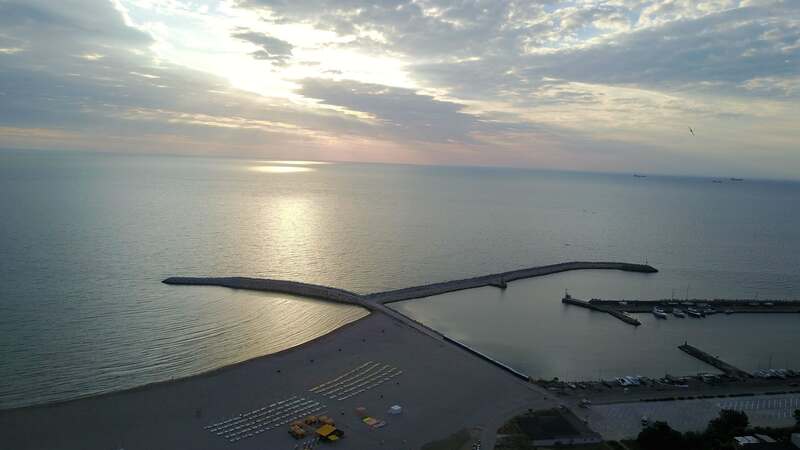 Breakwaters and revetments most of times provide navigation support, sheltered and calm waters and protection against siltation of harbour basins. 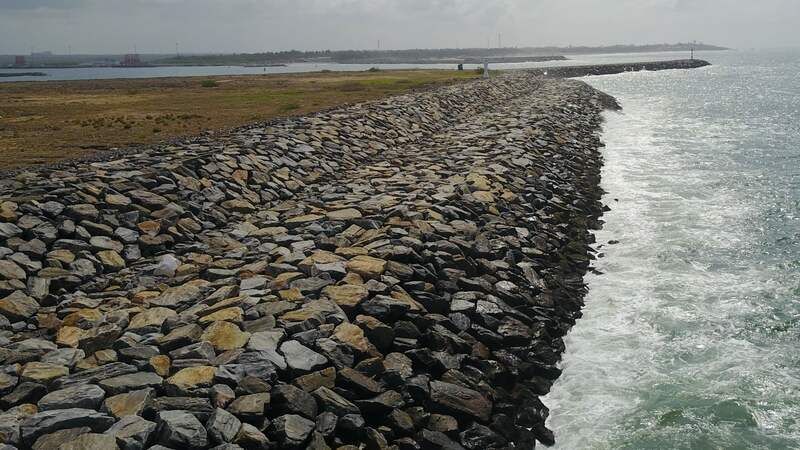 Revetments provide shoreline stability of existing or reclaimed land against waves, currents and flooding. 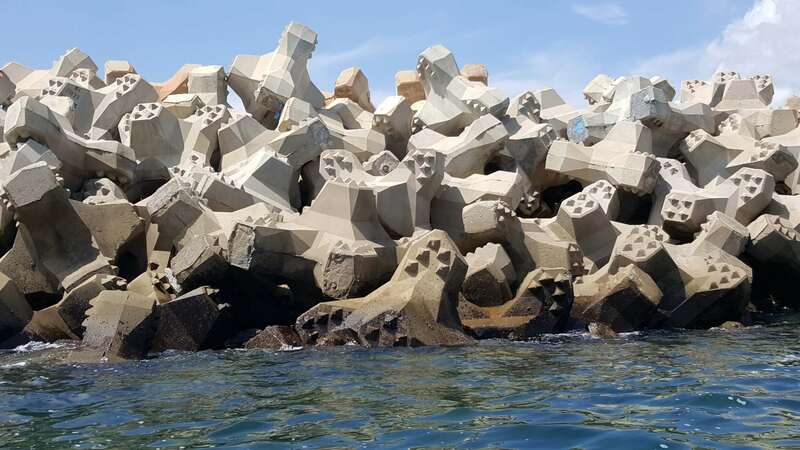 These marine structures are subject to large and dynamic hydraulic impacts that may cause damage depending on their function. 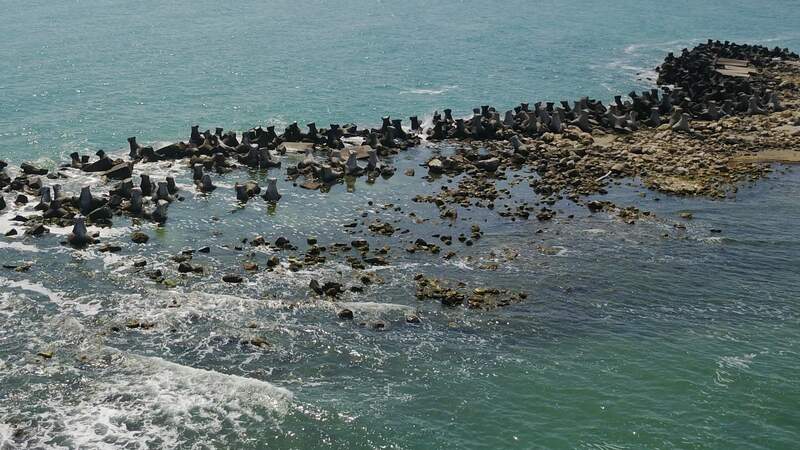 Ship collisions, earthquakes and excessive scour holes can also cause several types of breakwater damages. Damage is easily detectable above water but far more difficult under water. 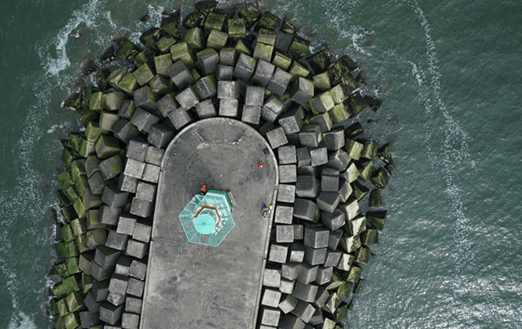 In order to obtain a fully integrated independent insight in the condition or health status of the structure, a strong combination of marine engineering expertise, scanning- and visualisation techniques have been combined in this initiative BREAKWATERHEALTHSCAN®. A thorough insight in the health of the structure by means of best visualisation tools, an album and detailed technical reporting with independent professional recommendations for next actions. For instance: A BREAKWATERHEALTHSCAN® may prevent high future capital costs and reduce maintenance cost by preventive localised interventions or provide good comfort in case the structure appears to be healthy. 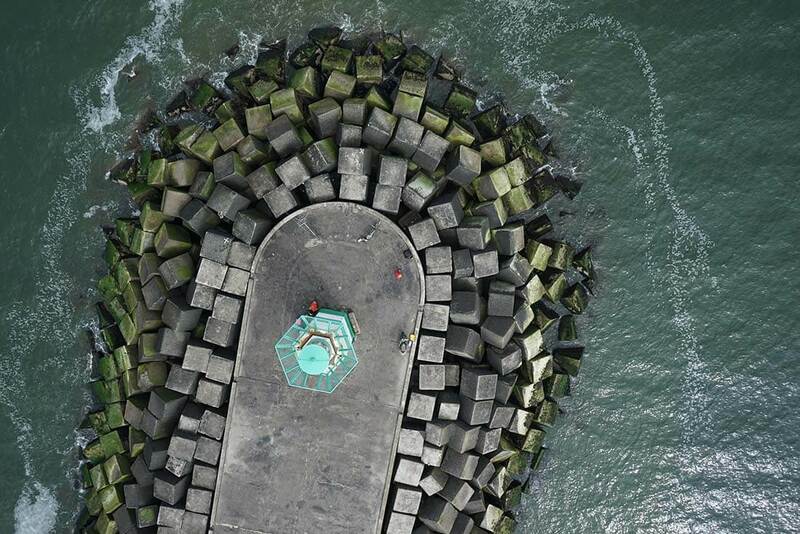 Drone survey of the complete breakwater, preferably at lowest tide. 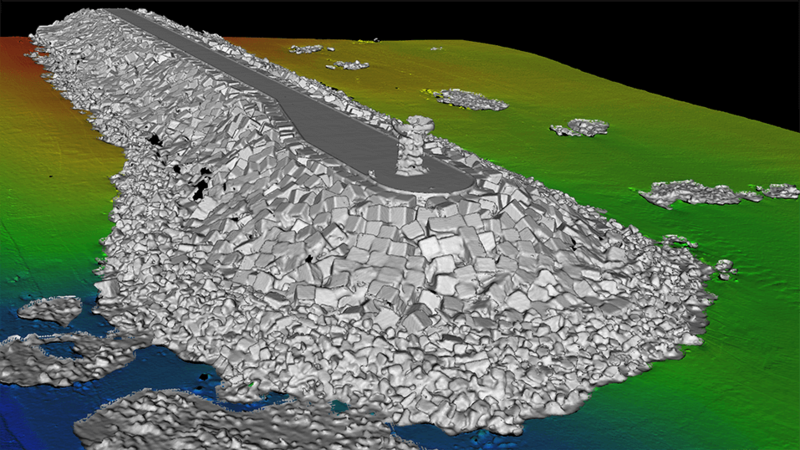 By using stereo-photography, a detailed representation of the local elevations of the breakwater is mapped and clear images are being taken. DRY SCAN and the WET SCAN merged into one digital model. Views and cross-sections are being generated and, if available, being compared with the original design. Where criticalities and non-compliances are detected, revealing zoom-in’s will be made. Optionally a 3D-printed desk model can be made. 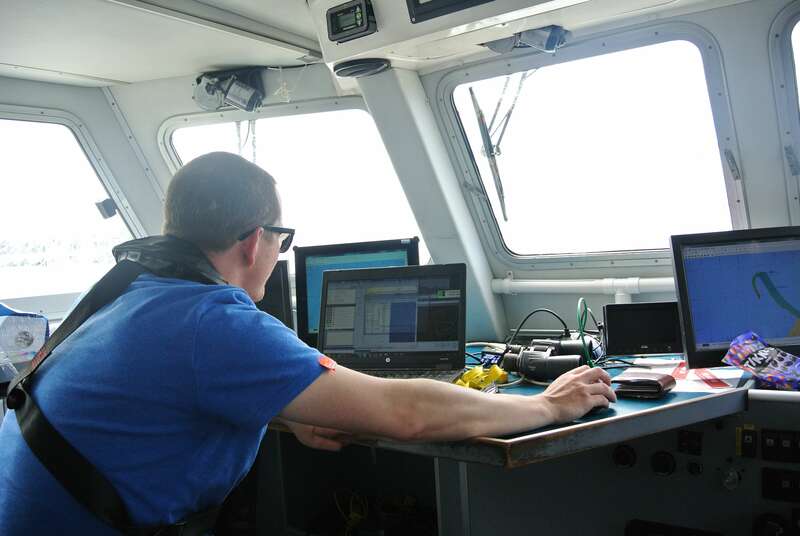 Underwater Dual Head Multibeam survey or equivalent, preferably at highest tide. 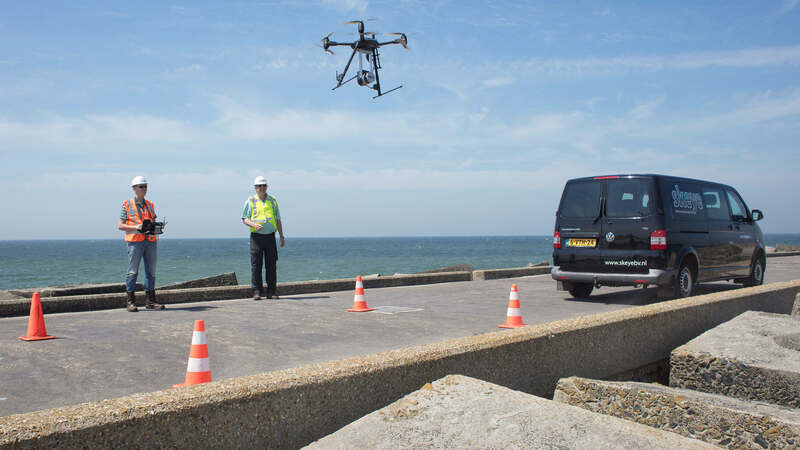 The breakwater and adjacent bottom will be scanned with highest resolution and accuracy, delivering large amounts of XYZ-data. After detailed quality control and removal of spikes, XYZ data will be delivered. 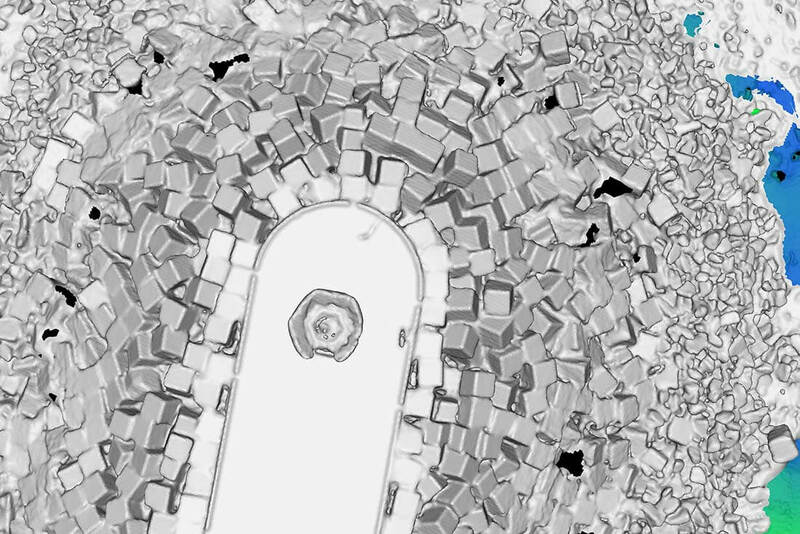 Detailed technical reporting will be provided inclusive a comprehensive Album with cross-sections and scans. The analyses are being made in close consultation with Prof. dr. ir. 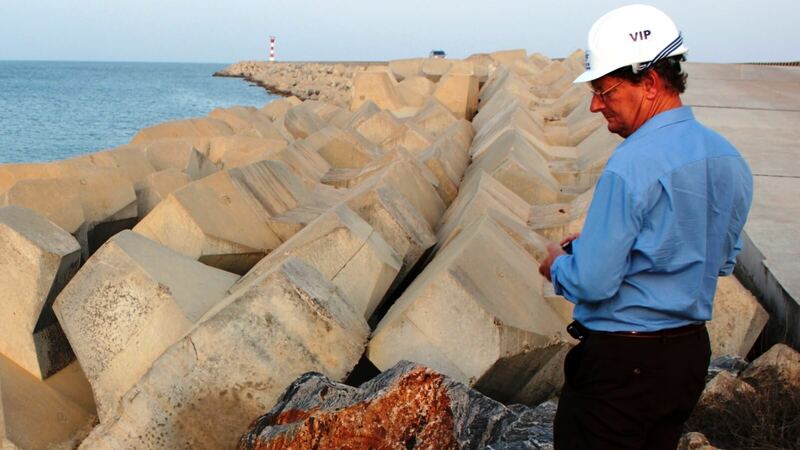 Jentsje van der Meer, world-renowned breakwater expert. Where needed, independent professional recommendations will be given. 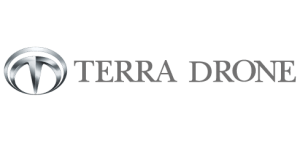 In this stage, a professional drone survey will be carried out by our specialist partner Terra Drone Europe B.V. In agreement with the Client, the extent of the scope will be determined and all relevant permits to carry out the flights will be arranged. Preferably, the flight will be carried out during spring tide in combination with lowest possible tide. Also the weather circumstances need to be taken into consideration. A large number of high resolution images and related XYZ topographic data will be generated and video footage will be made. It is of highest importance that the proper coordinate and elevation system will be used as preferred by the Client. 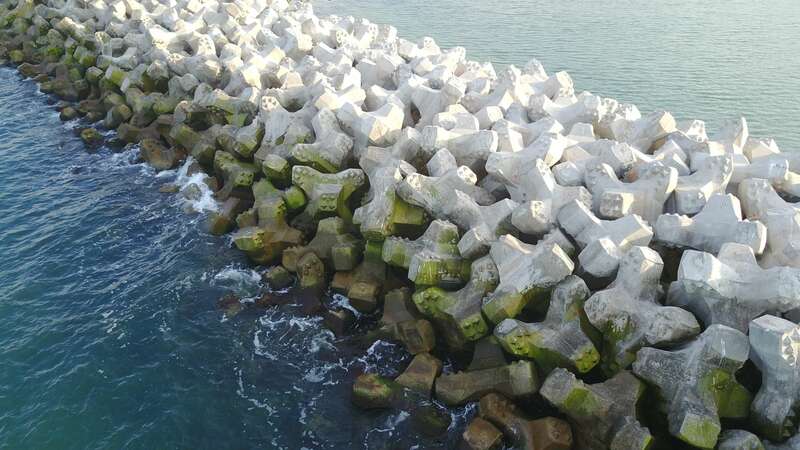 One of the CDR Engineers will also carry out a visual inspection of the breakwater, e.g. of the parapet and walkway. 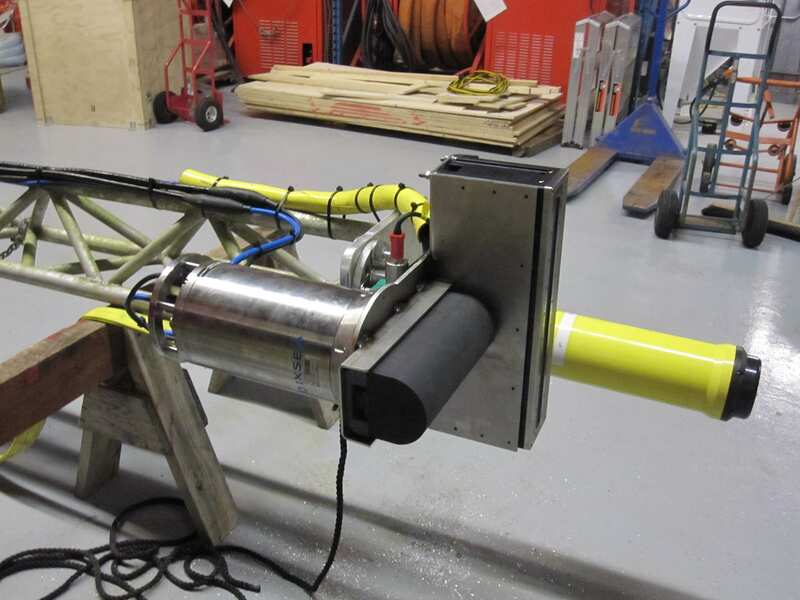 Simultaneously with the DRY SCAN, the underwater Dual Head Multibeam equipment, mounted to a dedicated frame, will be deployed from a small vessel by our specialist partner DEEP. 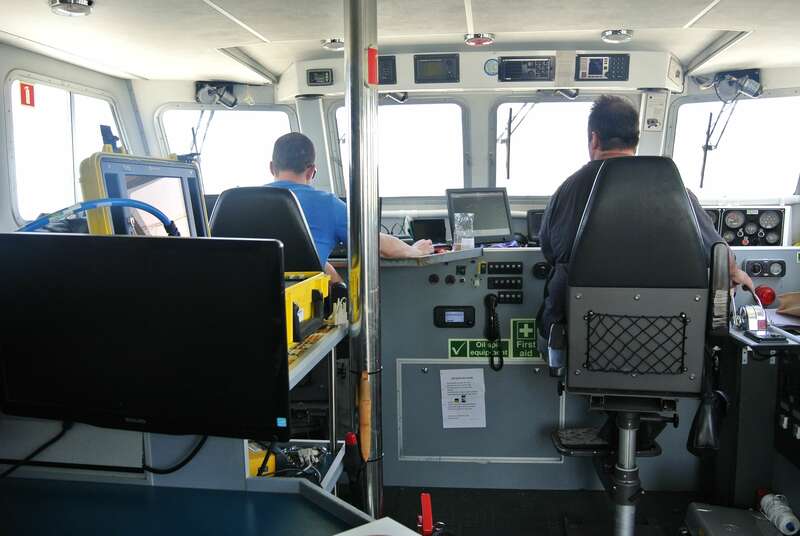 For the vessel operations, minimal draught is needed to get as close as possible to the structure: highest spring tide conditions, calm weather and minimal waves are essential. 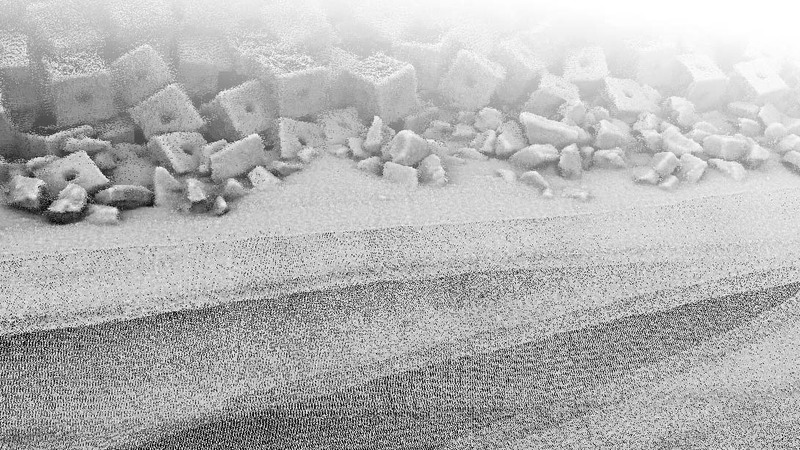 A large amount of XYZ data will be gathered, processed, quality controlled and unavoidable spike-data eliminated. 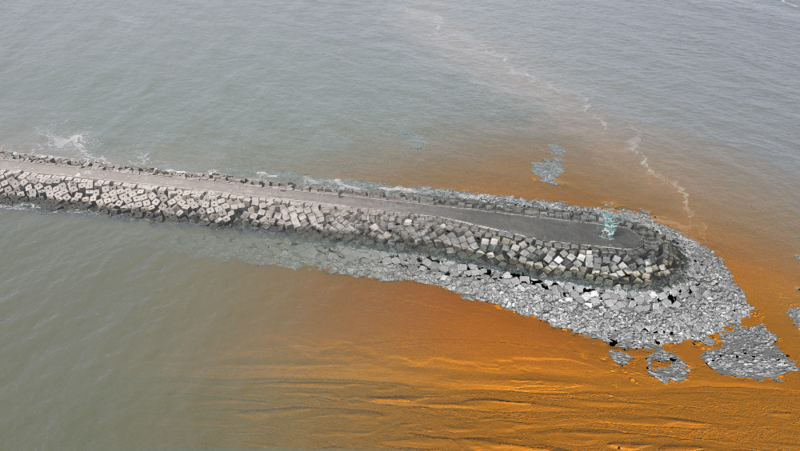 The adjacent seabed will also be scanned to detect possible breakwater material or debris in the vicinity of the structure. 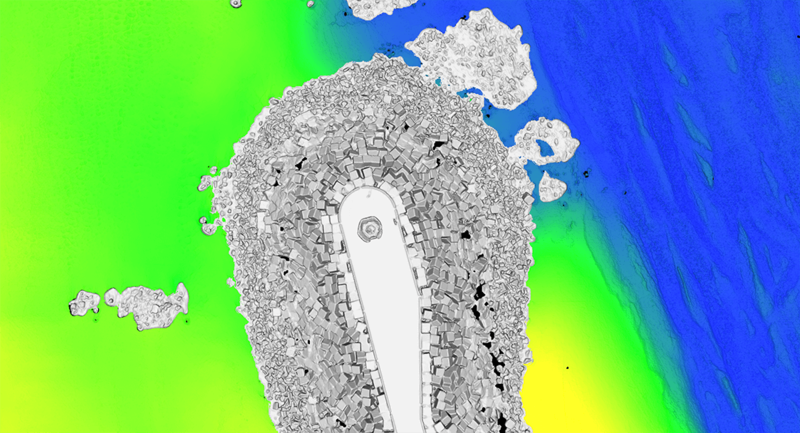 After the DRY SCAN AND WET SCAN, all gathered data will be merged into one digital model by DEEP and Terra Drone Europe B.V.. From this model, CDR will extract 2D and 3D views and cross-sections and present them in an A3-format BREAKWATERHEALTSCAN® ALBUM covering the full length of the structure. Where regarded beneficial, even more detailed graphics and visualisations will be provided where irregularities are detected. 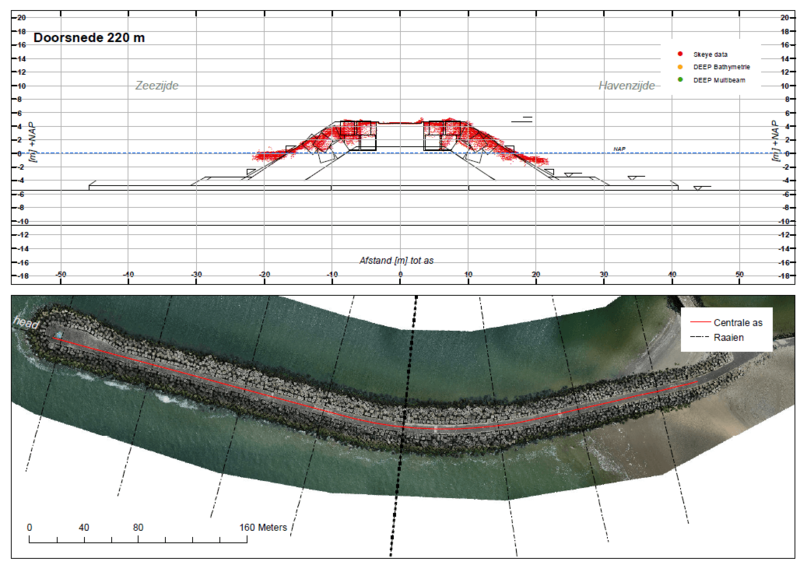 If the Design or Construction Drawings of the breakwater have been made available by the Client, the designs will be superimposed on the scanned profiles for optimal comparison. If required, a 3D-printed table model of (part of) the breakwater can be produced, in particular the head section can be eye-catching. 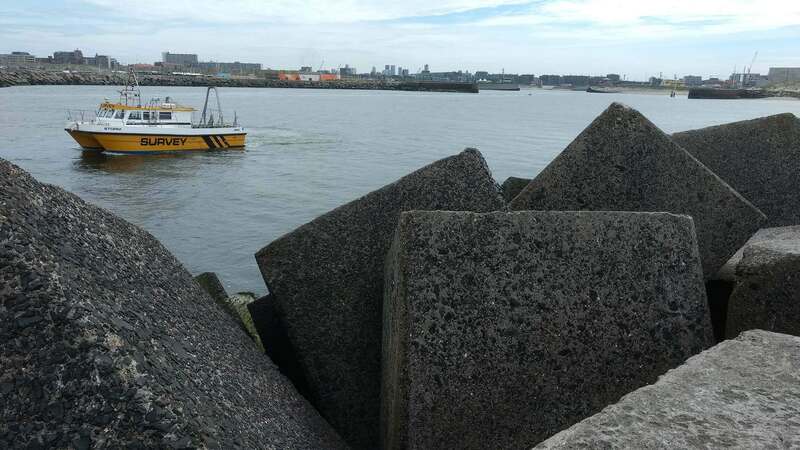 On the basis of the ALBUM, VAN DER MEER CONSULTING and CDR will thoroughly analyse the structural condition of the breakwater. Client’s specific comments and questions will also be taken into consideration. 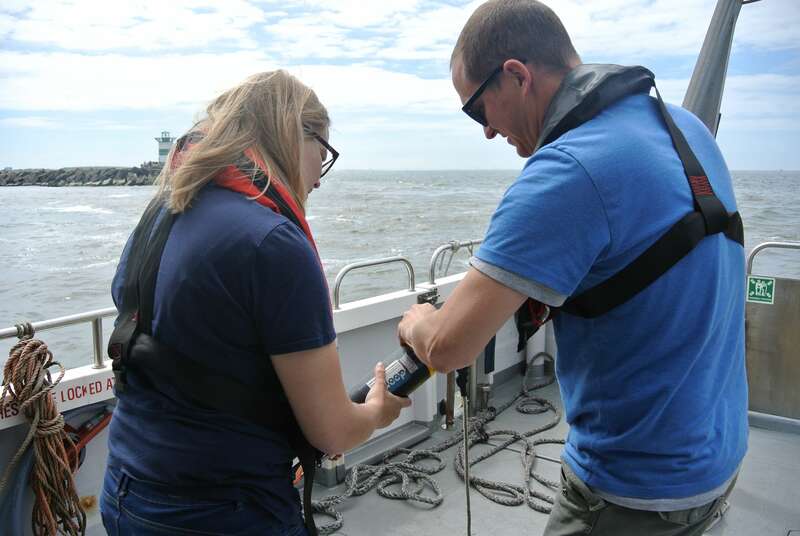 If required, a professional analysis can be made regarding its performance for the latest data design water-levels, waves and wave overtopping criteria. Recommendations will be provided for next steps to be taken if immediate or longer-term interventions are considered necessary. The analyses and recommendations will be reported in a separate BREAKWATERHEALTHSCAN® REPORT accompanied with the ALBUM. All data will be delivered digitally and a presentation or seminar can be arranged upon request of the Client. Leave a message if you’re interested! We aim to respond within 1 workday.